In a town like Beverly Hills, there is a lot of skincare advice being passed around. With the high concentration of celebrities and old money, everybody and their mother is jonesing for a flawless, youthful complexion. It's a good idea to stay skeptical, but at a recent appointment with veteran facialist Sonya Dakar at her posh five-story clinic, when she told me she'd recently healed one of her celebrity client's chronic rosacea (ahem, Brittany Snow) with just a few simple, plant-derived products, my ears perked up. Rosacea is a major problem in the U.S., affecting an estimated 16 million people. The condition is characterized by easily flushed skin, redness, and often small, red, pus-filled bumps on the face, Sometimes rosacea is mistaken for acne and eczema, so people end up treating it in all the wrong ways. "Aside from being commonly misdiagnosed, another factor that makes rosacea equally frustrating is its erratic nature (better known as 'flare-ups')," explains Dakar, adding that although the medical community is not 100% certain of rosacea's cause, there's compelling evidence to support that it's genetic, and flare-ups can be triggered by both internal and external factors, including sun exposure, cold and dry weather, hot showers, irritating skincare products, stress and anxiety, alcohol consumption, and certain medications. Sonya Dakar has decades of experience diagnosing and treating rosacea, and Brittany Snow's clear complexion is a testament to her knowledge of what ingredients work to minimize redness, even out skin texture, and prevent future irritation. The following five-product routine is what Sonya prescribes to her celebrity clients battling rosacea. Better yet, it's vegan, cruelty-free, and made totally sans toxic ingredients like parabens and phthalates. Keep scrolling to learn about the rosacea skincare routine that this Beverly Hills facialist recommends to all her irritation-prone clients. Harsh face washes are a major no-no for rosacea, but Dakar formulated this creamy, milky, detergent-free cleanser just for irritation-prone skin. The product's star ingredient is a type of oat extract that "calms skin down as well as strengthens it to make it more resilient to future irritation," says Dakar. 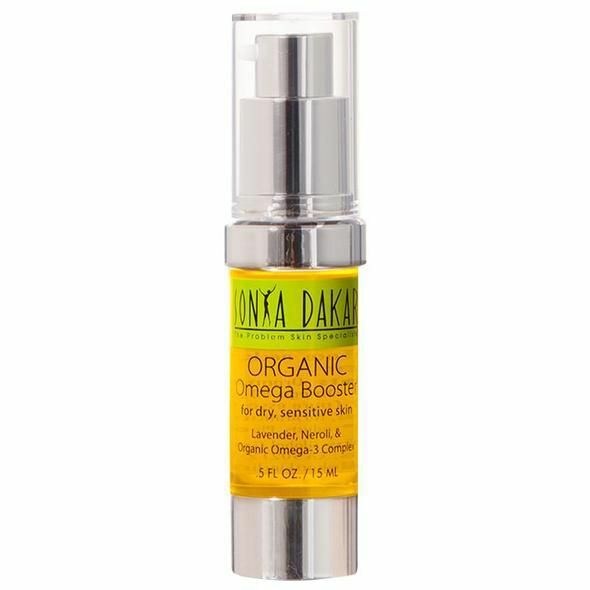 "The most popular product most of my rosacea clients are addicted to is the Organic Omega Booster," says Dakar. This face oil is packed with concentrated omega-3, -6, and -9 and rich flaxseed oil, all of which Dakar swears are "very concentrated and effective in reducing irritation, inflammation, and redness." 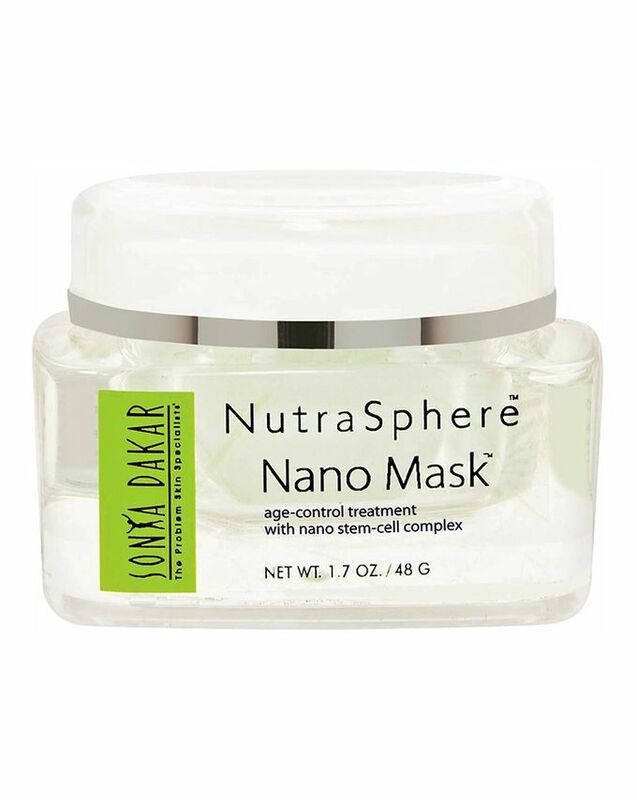 Dakar came up with this formulation over 30 years ago after seeing so many of her clients come in with overprocessed, irritated skin (those intense glycolic peels that were all the rage at the time were likely to blame). "In my research, I found that organic flaxseed oil is extremely rich in essential fatty acids and is so effective in alleviating skin conditions people with rosacea commonly suffer from," she says. "The Organic Omega Booster immediately soothes skin, reduces redness and inflammation, and calms any itchiness." Brittany Snow is a mega fan. Simpler is better when it comes to moisturizer for rosacea. 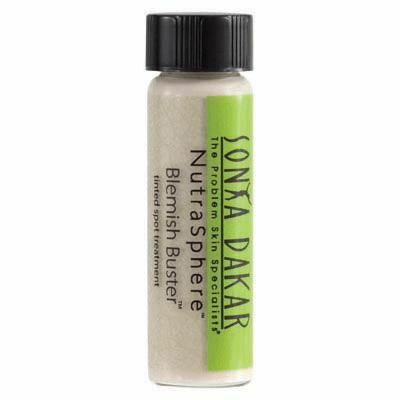 That's why Dakar recommends this non-greasy, featherlight, 98%-natural formula: "a gentle and light anti-aging moisturizer that feels great on the skin upon application." Sometimes breakouts and blemishes result from rosacea, but overwhelming the skin with harsh exfoliators will only cause further irritation. Focused just on the breakouts, Dakar recommends applying this gentle healing spot treatment made with topical probiotics and colloidal silver. This might not be for everyday use, but once or twice a week, Dakar recommends doing this soothing, moisturizing mask to keep your rosacea in check. 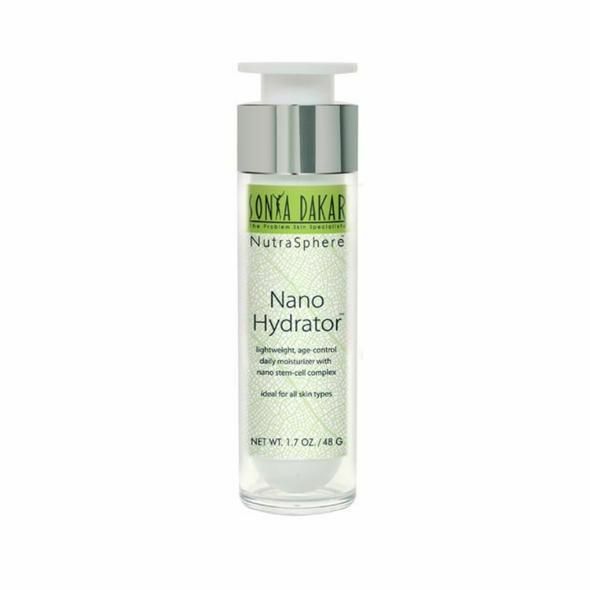 "It offers intense hydration and delivers vital nutrients, plant stem cells, and antioxidants to the skin to hydrate and strengthen it," she says. Make sure to wear sunscreen every day, of course, and within about a month of following this simple routine, you should notice significant improvements in your rosacea. Want more skincare advice? Don't miss the "rosacea diet": what to eat for calm skin.